I think I've spoken about this before, but neither Jono nor I are very good swimmers. And it's not just our ability. To be honest I feel completely out of my depth (quite literally) when I can no longer touch the ground, and I hate going underwater as I get scared that I will drown. And when swimming in the sea the fear of a current dragging me out to sea terrifies me. The first time I ever went swimming was with my primary school. 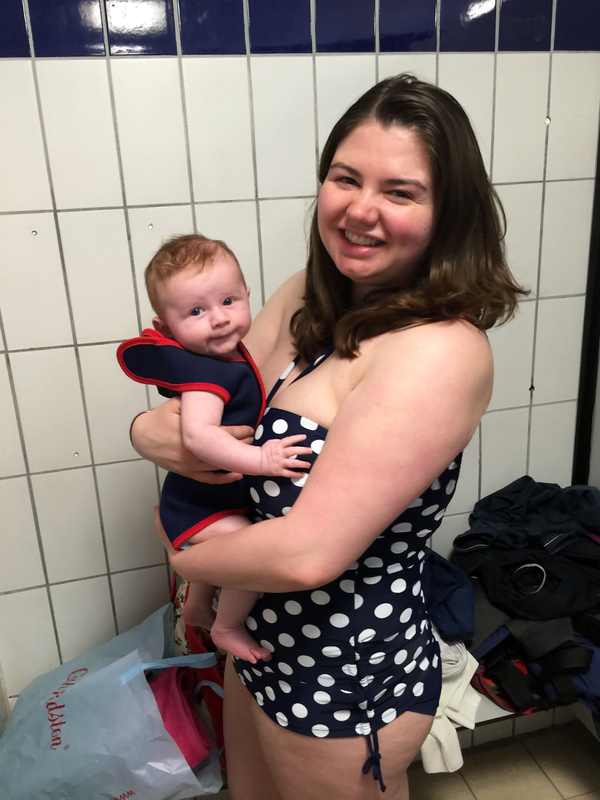 I had never swum before, and watching everyone else I thought that it was something you could just do. I of course was very wrong, and the lifeguard had to fish me out of the water as you can imagine what happened. I didn't go to swimming lessons with school again for years, and spent my weekends for a very long time trying to learn to swim with my mum in the toddler pool despite being older than everyone else in there. I just hated swimming and it took me so long to get the hang of it. I’m so grateful my mum persevered as I am now able to swim, and began to take lessons again (although I’m probably the slowest swimmer you’ll encounter). It’s therefore quite important to me that Zach learns to swim as early as possible. I want him to feel safe and confident in the water, both in swimming pools and at sea. Obviously without taking any risks, I still want him to be sensible! Since he’s been born I’ve been so excited to take Zach swimming. 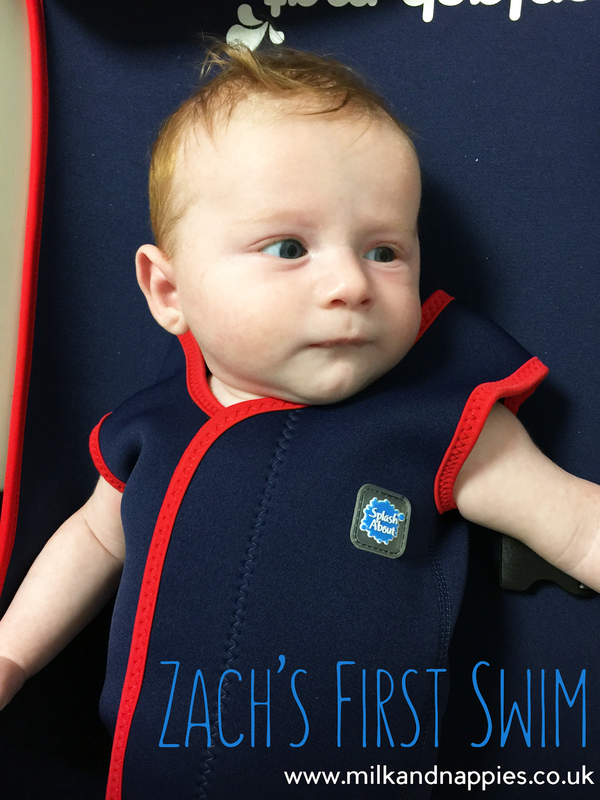 We recently bought him a little baby wet suit from Splash About so that we could take him to our local pool. And that’s just what we did this week. We were pretty sure that Zach would love being in the pool as he seems to love water as he really enjoys his baths. We were right as he adored going swimming. It was so special to watch him absorbing it all – he can be quite a serious baby, and he likes to watch everything and take it all in. Afterwards he was so exhausted that he fell straight to sleep in the baby carrier – completely out for the count! 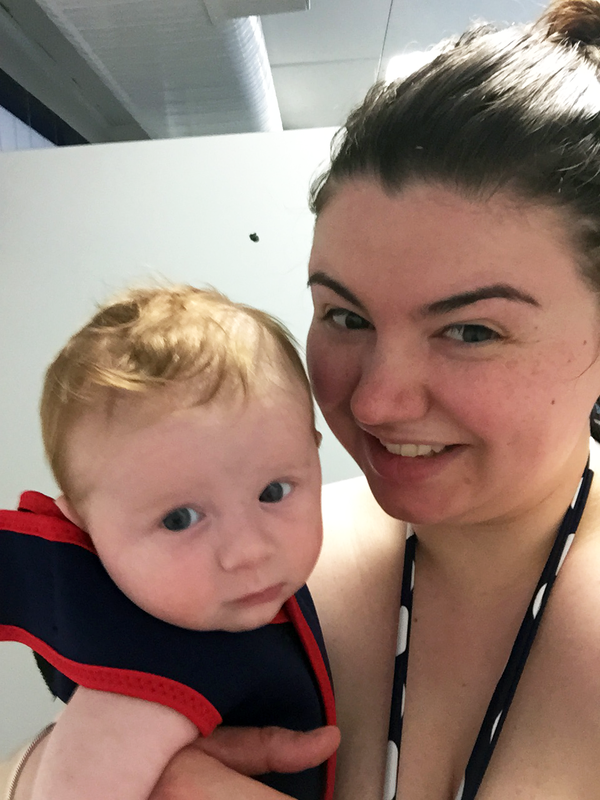 We took a few snaps before we went in (please ignore the fact that his wet suit isn't on properly, I hadn't figured out how to do it at that point!) and we took the GoPro in to capture him bobbing about in the pool. 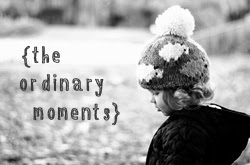 My favourite part was something we caught on film – Zach licking the water! It was so funny, and I’m so glad we have footage of it! I can’t wait to take him swimming again as it was such fun. 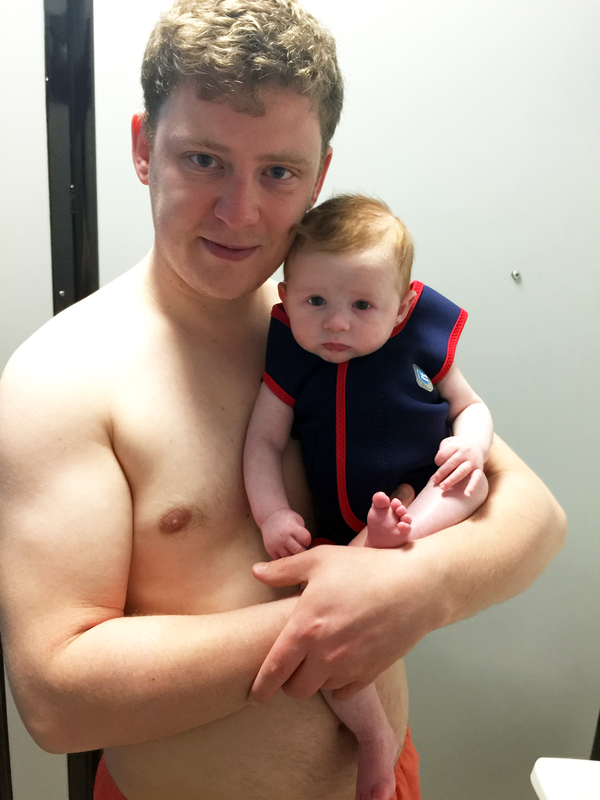 Hopefully it will be a regular thing, and we plan to enrol him in swimming classes once he’s old enough. And fingers crossed he will be far better in the water than Jono and I.